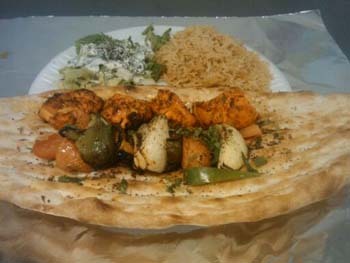 Lunch Specials - Monday to Friday Monday - Friday ONLY. Will NOT be honored at other times. 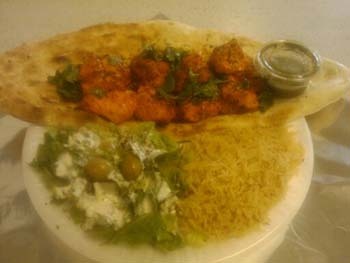 2 Skewers of Your Choice (Beef or Chicken) with Rice, Bread and Salad. NO Side. 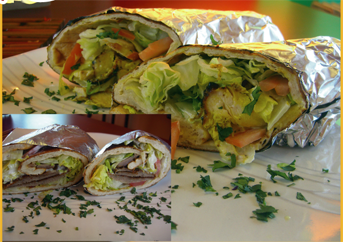 Your choice of chicken, Beef or Gyro comes with lettuce, tomatoes, onions and our house dressing. Will NOT be honored at other times.